In 2009, smartphones had gained a solid hold on the mobile communications market. But one industry that had yet to catch up to the possibilities of the new technology was publishing. The few attempts to digitize magazine content for mobile platforms were crude, with pages that were difficult to navigate and not properly formatted for easy legibility. 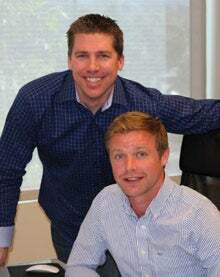 Two friends--Ryan Marquis, director of digital marketing at a Silicon Valley software company, and Mark Stubbs, founder of a London-based digital design consultancy--set out to develop a platform to change that. "We became one of the first companies to put magazines on the iPhone," Marquis says. The timing was serendipitous. When Apple introduced its Newsstand feature last October, PixelMags, the company the pair founded, was poised to provide much of the digital content magazine subscribers wanted. 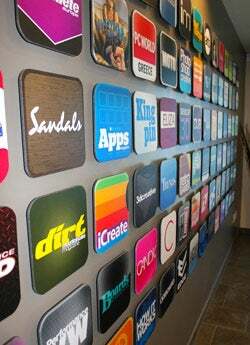 Within Apple Newsstand--a folder for organizing and accessing newspaper and magazine subscriptions on iPhones, iPads and iPod Touches--PixelMags supplies about 20 percent of the content available. Before Newsstand launched, 2 million consumers had downloaded content from PixelMags; today, that number has grown to more than 32 million. Although digitizing magazines has been the main focus of Los Angeles-based PixelMags, Marquis and Stubbs first approached the goal in a different way. "When we began talking to magazine publishers, we pitched ourselves as an app developer," Marquis says. "We found out quickly that app developers are a dime a dozen." Several months into the venture, they pivoted to become a digital content distributor. "That's what magazine publishers are used to dealing with--content distributors who get their magazines into retail stores," Marquis says. "Once we presented ourselves that way, they understood what we were offering, and we found more success." Many of PixelMags' early relationships were with publishers in the U.K., including Hearst. The founders hosted a roadshow to present their business model to publishers, many of whom took a chance. "Once their content went live, others started coming with us," Marquis says. Soon many major U.S.-based magazine publishers, such as GrindMedia, had partnered with PixelMags. When Apple launched Newsstand, PixelMags transferred all the content from its publishing clients into the new format and watched sales skyrocket. Marquis says the company is distributing 800 percent more content than before Newsstand launched and acquiring more than 300,000 new customers each week. "Because we'd been doing branded magazine content with Apple for two years, it was an easy transition for us to contact our publishers and transfer them to the new format," he says. In addition to its relationships with magazine publishers, PixelMags also works in the catalog industry, fulfilling digital content distribution for many of the major retailers in the U.S., such as Restoration Hardware. "We attribute our growth 150 percent to our partnership with Apple," Marquis says. "We were selling magazines via Apple products before, but when Apple came up with the Newsstand, so many more consumers became aware of the ability to read magazines via their mobile devices." "Come up with an idea and focus on that one thing." PixelMags' partnerships with magazine publishers have been equally rewarding. While circulation numbers for printed magazines have generally dropped in recent years, the opportunity for publishers to offer content digitally has produced a whole new revenue stream. "We are generating millions in revenue for many of the publishers we work with," Marquis says. "They report that taking their magazines digital has helped them increase their reader base, circulation, revenues and ad revenues." Although PixelMags has enjoyed great success through its partnership with Apple, Marquis says the plan is to expand into other formats. "We will start pushing content to any viable digital newsstand," he says. "Because we work on a revenue-share model, it's in our best interest to sell more content." Soon, magazines and catalogs that are digitally published by PixelMags will be available on Kindle Fire, BlackBerry and select Android devices. Marquis believes his company's growth prospects remain strong because it has remained focused on its core business. "So many companies try to do 10 things really well," he says. "Our one thing we do really well is deliver magazines. We could have gone in so many different directions with games and other things, but we haven't. My main advice for others launching technology companies is to come up with an idea and focus on that one thing."